We the scientist, rationalists, educators and intellectuals of the country learnt with shock and anger the brutal and inhuman murder of Dr Narendra Dabholkar. This murder is part of the series of attacks that have been perpetrated by anti scientific temper forces in the country. The attacks on artists, intellectuals and rationalists, all over the country, have increased exponentially. Dr Dabholkar, a legendry figure in Maharashtra had contributed significantly to spreading scientific temper and spirit of enquiry. We strongly feel that it is duty of every citizen in the country to unequivocally condemn his murder. His noteworthy, untiring and courageous contribution in framing the ‘anti-superstition and black magic bill’, that is pending before the Maharashtra Assembly speaks volumes about his attitude towards fulfilling the constitutional duty. His murder is an attack on the fundamentals of our constitution. The atmosphere of intolerance and anti-science attitude is sweeping the Indian sub-continent. It is created by those vested interests, which benefit from spreading myths and superstitions. There is a deliberate plot to push our society towards fanaticism. On March 13, 1958, Pt. Nehru, the first Prime Minister of India placed ‘Scientific Policy Resolution’ before the Parliament of the country and read the entire document and had hoped that science ‘has provided new tools of thought’ which will ‘expand the mental horizon’. He had also hoped that science will influence the basic values of life and give the Indian civilization and new vitality and a new dynamism. The opposition had demanded a discussion; every speaker endorsed the resolution and raised concerns to strengthen it. The debate is a witness to the commitment that our parliamentarians of the time had towards eradicating myths and superstitions from our society. They had also recognized how difficult the task was. Today we have come a long way, instead of debating and endorsing a bill that calls for eradication of superstitions, a person who pushes it in the assembly is killed in broad daylight. 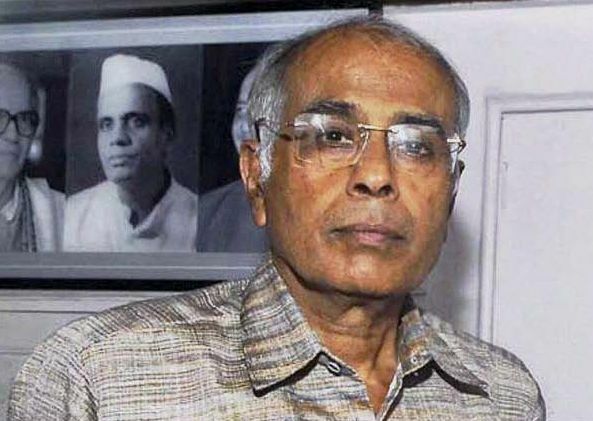 Those who killed Dr Dabholkar are scared of who hold rationality, independent thinking, questioning, and skepticism. India, which has a long tradition of skepticism, humanism and spirit of enquiry, is facing a situation where anti-scientific temper forces apparently loom large. We call upon all those who stand by the constitution to rise and rededicate ourselves to spreading scientific temper. The perpetrators of this ghastly act should be immediately arrested, brought to the book and punished as per law of the land. The anti-superstition and black magic bill should be passed immediately by Maharashtra Assembly. A similar bill should be drafted, discussed and passed by the parliament of the country. - Dr. Ram Puniyani, Gauhar Raza, Dinesh Abrol, Amitabh Pandey, Prof. IrfanHabib, Dr.Subodh Mahanti, Dr TV Venkateswaran, Dr Surjit Singh.